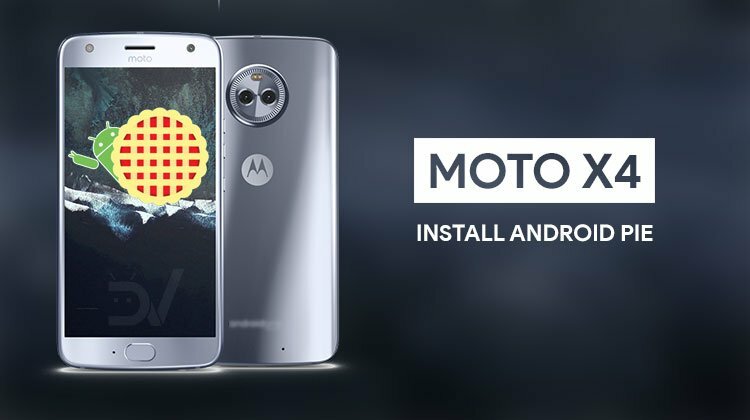 Moto X4 Android Pie update is finally rolling out! 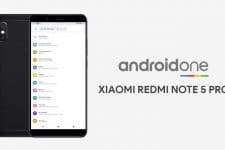 The users who had been waiting restlessly to get the new update can now download and install Android 9.0 Pie firmware on Moto X4 manually on model numbers XT1900-4, XT1900-5, XT1900-6, and XT1900-7. Motorola Moto X4 was launched in November 2017 and is a budget offering from the now Lenovo company. A 5.2-inch full HD display houses Qualcomm Snapdragon 630 underneath. That’s paired with 4GB of RAM and 64GB of internal storage expandable up to 200GB. The device is obviously still under the 2-year support program and should receive an official Android Pie update from Motorola. However, when Motorola might come around to pushing out that update is a mystery. Until then, XDA Senior member CypherPotato has found a way to install Stock Android Pie firmware on the Moto X4. Needless to say, it isn’t for the faint of heart. Android Pie is the biggest Android update since Android 5.0 Lollipop. It changes the way you navigate around on Android and there are a few other major additions and visual changes as well. It’s hard to imagine you don’t already know about the major changes in Android Pie. But you can check out some of the most under-rated Android pie features that you probably missed too. You may also want to check out how to use the new Android Pie gestures in case you don’t yet know. If you find those gestures difficult to use or unintuitive, let us point you to this neat little app called Fluid Navigation Gestures. 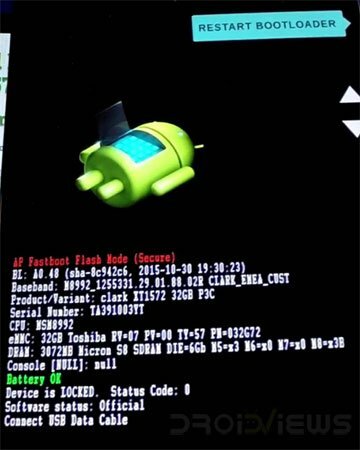 The firmware files listed below are not from Motorola and thus, we cannot guarantee that you won’t end up bricking your device. That said, the method has been successfully tested on Moto X4 devices with model numbers XT1900-4, XT1900-5, XT1900-6, and XT1900-7. It is known to not work on XT1900-2. Even if you follow all the steps mentioned below correctly, there is still a chance that things may go south for you. Make sure you know what you’re doing and do everything at your own risk. DroidViews or anyone else cannot be held responsible under such circumstances. An external microSD Card with at least 2GB of storage space. A PC with ADB and Fastboot installed and setup. If you have no idea how to do that, you can check out our guides. We’ve got detailed instructions for all the three major desktop operating system platforms linked below. Windows users will also need to have the latest Motorola USB drivers installed on their system. Make sure that your Moto X4 has at least 80% battery before you start the process. Android Oreo firmware: Android 8.0 (for devices that did not receive the official Android 8.1 update), Android 8.1. Devices that are not retail units, e.g Android One devices or those bought from Amazon will need to be on a retail unit firmware. So you’ll need to flash the Android Oreo firmware linked here. As for how to install the firmware, you can follow our Moto X4 Oreo update guide. 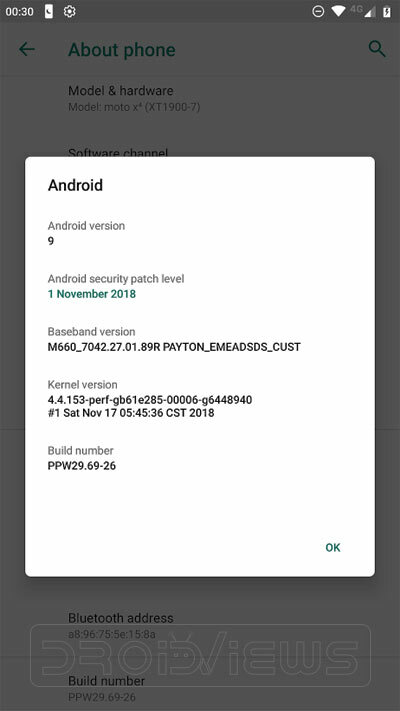 With everything ready, download one of the Android Pie firmware linked above according to your devices current Android version number. Transfer the downloaded firmware file to an external microSD card. Turn off your Moto X4 and reboot it into the Bootloader Mode by pressing and holding the Volume down + Power keys at the same time for a few seconds. The bootloader screen will look as follows. Use volume keys to select recovery mode here and press the power button to select it. When the Android robot appears on screen, press Volume Up + Power buttons for about 3 seconds and your device should boot into recovery mode. In the recovery mode, use the volume keys to select Apply update from SD card. Next, select the downloaded Android Pie firmware similarly using the Volume and Power keys. The update will then begin installing but it can take close to an hour. So sit back and wait. Once the update has finished installing, reboot your device and it should boot straight into Android 9.0 Pie. In order to avoid any problems after installation, CypherPotato recommends doing a factory reset. 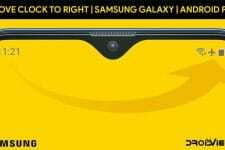 You can do this by going to Settings > System > Advanced > Reset options and selecting Factory reset the device. When you sign in again, update all the pre-installed apps from the Google Play Store and restart your device again. In case you’re stuck on the Motorola logo at boot, press and hold the Power button for up to 15 seconds to do a soft reset. When you have gone through everything and installed the Android Pie update on your Moto X4 successfully, go to Settings> About phone and check the Android version.